In 2017, the Silverado line of Chevy trucks were the second-highest selling vehicles in the United States, surpassing over 585,000 trucks. While this may seem like a lot, this figure is second only to Ford’s F-series of pickups, which sold over 896,000 units during the same year. It is for this reason that Chevy is planning to tackle its opposition head-on, planning the release of three new trucks in the Silverado lineup by 2020 to beat out the competition. These three trucks will solidify Chevy’s status as a truck manufacturer by providing consumers with more options for heavy-duty, commercial vehicles. In order to beat out the competition, Chevy is producing three new trucks in its line of Silverados for model year 2020. But why choose to revamp its line of trucks as opposed to focusing on another line of vehicles? The answer is actually quite simple: America loves trucks. It’s practically in our DNA. 2017 saw a sizeable uptick in truck sales across all brands. Although total auto sales actually decreased, truck sales went up by 4.8 percent with over 2.8 million trucks sold. In fact, pickup trucks now account for 16.4 percent of all auto sales in the United States, increasing from 15.3 percent in 2016. If current trends are any indication, then America’s love affair with trucks will only continue to grow. Ford and Chevy are the two main suppliers of America’s trucks, and are on opposite sides of a love triangle with the USA, giving each company ample reason to step up their truck game. Ford’s F-series of pickup trucks actually went through a pretty major redesign in 2015 and 2016, possibly contributing to the increase in sales in 2017. What’s different about the newly redesigned F-series? The Ford F-150 got a new construction of tough but lightweight aluminum. Following the success of the F-150’s update, Ford gave the Super Duty it’s first major reworking in years. This line of redesigned Fords is what Chevy is up against with its updates for the Silverado line. Chevy has a long and storied history of making quality trucks, so there should be no concerns when thinking about possible updates to the line. Chevy first began building trucks exactly 100 years ago in 1918. The very first Chevy truck was called the Chevrolet One-Ton, getting a whopping 36 horsepower with its 3.67L OHV four-cylinder engine and selling for $1,460 (quite a chunk of change back in the early 1900s). The famous Chevy Silverado first appeared as a trim in 1975, and it wasn’t until 1999 that it became its own model. The 1999 Chevy Silverado came equipped with a $31,384 price tag and a 5.3L V8 engine, getting 270 horsepower and 320 lb.-ft. of torque. By the 2020 model year, Chevy will have introduced three new trucks to the market. The first truck as a part of this update was the Silverado 1500, introduced in January of 2018. By using a variety of materials and innovative manufacturing methods, the 2019 Chevy Silverado 1500 will weight up to 450 pounds less than the current crew cab V8 models. This model has introduced a lighter weight without sacrificing on power or capability. Additionally, this model offers a wide selection of trims and combinations of engines and transmissions, allowing for almost complete customization. The second wave of this update released in March 2018: the all-new Silverado 4500HD, 5500HD, and 6500HD. These updated commercial trucks are scheduled to go on sale later in 2018. The first ever medium-duty trucks in this lineup, the Silver 4500HD, 5500HD, and 6500HD are touted as being easy to drive, easy to upfit, and easy to service. The final truck in the line of updates will be the Chevy Silverado HD. While not much is known about this new truck, Chevy is about to begin road tests and plans to release the truck during the last months of 2019 for model year 2020. Chevy does promise, however, that this heavy-duty truck will have increased durability and larger proportions. In addition to its 450-pound weight loss, the 2019 Chevy Silverado 1500 comes with numerous upgrades to help Chevy beat out Ford. One of the most important upgrades to the Silverado 1500 is to the truck’s bed. The truck offers best-in-class cargo volume, with the short box offering 63 cubic feet of storage space. This amount is up to 20 percent more than the competition. The new bed also boasts a high-strength steel floor, 12 fixed tie-downs, available task lighting, a 120-volt power outlet and larger cutouts in the bumpers to accommodate boots. Finally, the bed features a power up/down tailgate that can be used from the key fob, an interior button, or by hand. Say hello to customization with the new Chevy Silverado 1500. This Silverado has eight different trims, allowing the consumer to truly pick the truck that meets all of his or her needs. These eight trims are designed for three different consumer types: high value, high volume, and high feature. High-value customers want all the capabilities of a full-sized truck at a great price. Customers who want this type of truck can choose from the Work Truck, Custom, or Custom Trail Boss trims. High volume consumers need the capacity of a full-size truck and want the comforts of a regular passenger vehicle. These customers can pick between the LT, RST, and LT Trail Boss trims. 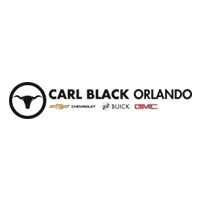 Finally, high feature customers want all of the features and innovations of a luxury car with the capability and durability that Chevy is known for. Plus, these trims offer varying levels of chrome, so customers can get as much or as little chrome on their pickup truck as they want. These trims include the LTZ and High Country. This new line of Chevy trucks aims to solve all of the common problems truck owners have with their commercial trucks. The Silverado will be available in both 2WD and 4WD and has a 6.6-liter Duramax diesel engine that gets 350 horsepower and 700 lb.-ft. of torque, making it one powerful truck. This line of trucks will be easy to upfit, has a range of seven cab-to-axle options, and will be easy to service due to the hood design. The new heavy-duty Chevy trucks will also include increased visibility and maneuverability, making them easier to drive. Plus, the added air suspension and door seals will help decrease noise and vibrations, while the DEF tank is located on the opposite side of the fuel fill to minimize refueling errors. The Silverado will also include options for OnStar and Commercial Link, a built-in 4G LTE Wi-Fi hotspot, wireless cellphone charging, Bluetooth, and connectivity for Apple CarPlay and Android Auto, making this line the most connected truck in its class. Not much has been released about Chevy’s last truck upgrade. However, we do know that it will be made in Flint, Michigan and that production is slated for sometime in the third quarter of 2019. 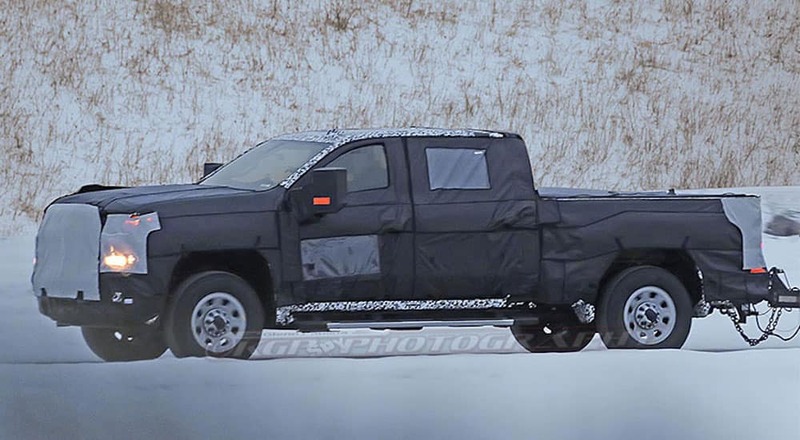 We also have a teaser image that Chevy released, showing the front part of the truck with the name of the company stamped across a large, oval-shaped grille, including a large hood bulge and hood vent. If this image is any indication, the 2020 Silverado HD will be a monster of a truck sure to take down its competition.